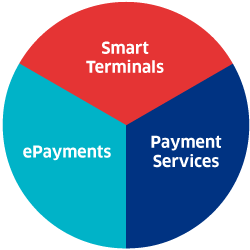 In order to allow Your Merchant to have your payment processed and to allow Your Merchant to receive feedback from Ingenico FS on your payment. The legitimate ground for this processing is the performance of a contract to which you are a party. For the purposes of preventing fraud. The legitimate ground for this processing is the pursuing of the legitimate interest of Your Merchant, of Ingenico FS or of any other third party to protect its/their businesses/interests against losses caused by fraud. In order to comply with Ingenico FS’ legal obligations under the applicable legislation relating to the fight against money laundering and the financing of terrorism or to comply with a request from law enforcement authorities and other legal or administrative authorities. The legitimate ground for this processing is the compliance with a legal obligation to which Ingenico FS is subject or the processing is necessary for the performance of a task carried out in the public interest. The provision of the personal data is either a contractual or a statutory requirement and is obligatory since without this personal data Ingenico FS cannot 1) enter into a contractual relationship with Your Merchant, 2) protect its own business/interests, the business/interests of Your Merchant, or of any other third party against losses caused by fraud, 3) comply with legal obligations related to the fight against anti-money laundering and the financing of terrorism, iv) comply with requests from law enforcement authorities and other competent legal authorities. Please be informed that Ingenico FS, with registered seat at Woluwedal/Boulevard de la Woluwe 102, in 1200 Brussels and with company number 886.476.763 is the data controller for all the types of data processing mentioned in the subclauses 1) to 3) above. Communication by Ingenico FS of personal data to any third party that is involved in the processing of the payment, its suppliers, subcontractors or other parties with whom Ingenico FS has a contractual relationship and that provide services for / assistance to Ingenico FS in the framework of i) the performance of the agreement between Your Merchant and Ingenico FS, and/or ii) fraud prevention. To comply with its legal obligations. 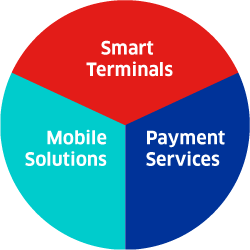 Namely if Ingenico FS is required by law to communicate certain information or documents to the National Bank of Belgium, to the Financial Intelligence Processing Unit (CTIF-CFI), to similar Belgian or foreign authorities, or generally speaking to any judicial or administrative authority. Communication of personal data to those entities will be limited to the extent necessary or required under the applicable regulations. Communication by Ingenico FS of your personal data to law enforcement authorities and other legal or administrative authorities when such processing is necessary for the performance of a task carried out in the public interest. Copies might need to be provided to the relevant authority and other processing of personal data might be needed. 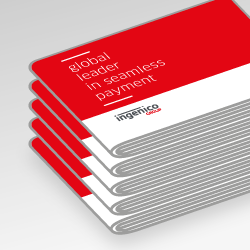 This will depend on what is requested from Ingenico FS. If Ingenico FS transfers personal data to a country outside the European Economic Area that does not provide an adequate level of protection according to the European Commission it shall make sure to respect the provisions of General Data Protection Regulation (“Regulation 2016/679”). If required, more information regarding such transfers shall be made available. 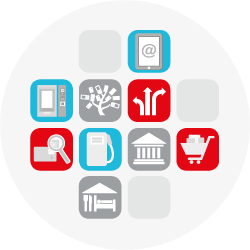 Ingenico FS shall store all your personal data for the time that it is legally obliged to do so. 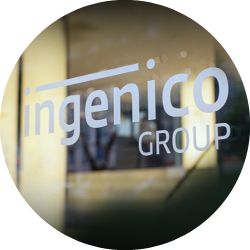 Ingenico FS shall implement appropriate technical and organizational measures to protect the personal data it processes. You have the right, within the limits of the Regulation 2016/679, i) to request access to, rectification of or erasure of your personal data, ii) to request restriction of, or to object to, processing concerning you as a data subject, iii) to request data portability and iv) to lodge a complaint with a supervisory authority. If you want to exercise the rights mentioned under i), ii) or iii) above, please address a motivated written request by letter, to the registered office of Ingenico FS (see above) or by e-mail to privacy@fs.ingenico.com and mention in this letter or e-mail your name, address and telephone number where you can be reached during office hours. Please also enclose a copy of both sides of your identity card or passport (we need your name, date of birth and expiry date of the document but you may mask all other info) and specify in detail the exact measure you request.